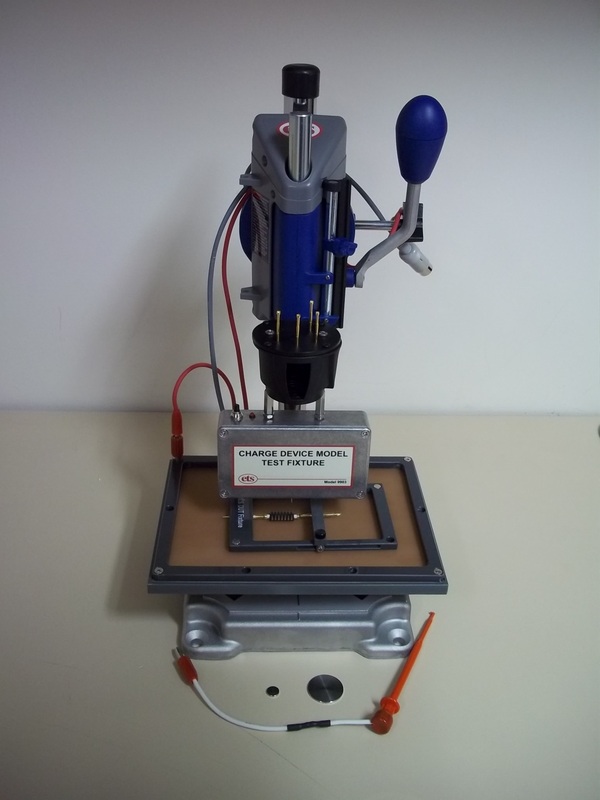 Model 930D ESD Gun - Electrostatic Discharge Simulator - Electro-Tech Systems, Inc. The Model 930D ESD Gun style Electrostatic Discharge Simulator generates ESD discharge pulses from ±100V to ±26kV. Available RC Networks include a 1.5k ohm/100pf Human Body Model (HBM) Network, 330 ohm/150 pf IEC Network or choose from a variety of automotive, electronic, medical or military networks. 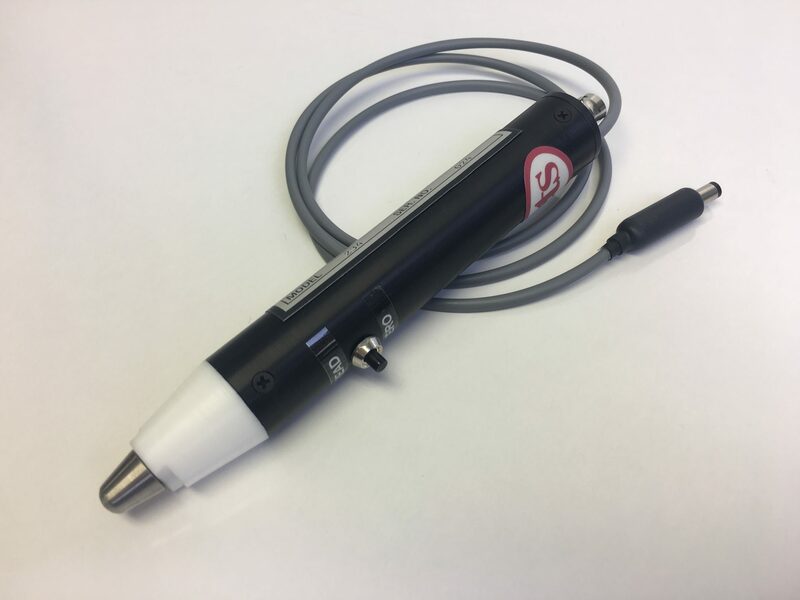 The 930D consists of a control unit and a discharge (gun) unit connected by a detachable 10-ft cable. 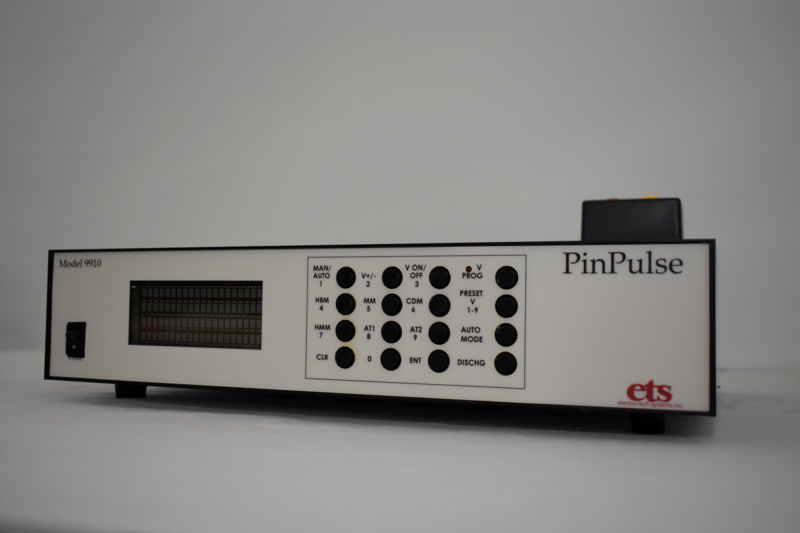 The control unit houses the low voltage power supply with LED status indicators, system timing electronics, .5″ LED voltage display and controls for the AUTO MODE event counter and high voltage power supply. 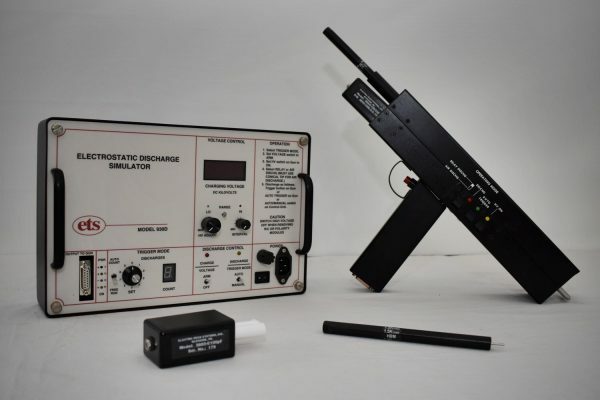 In addition, a duplicate set of Charge/Discharge controls are provided for remote operation. The discharge unit (gun) contains the high voltage power supply and high voltage relay plus plug-in resistor and capacitor networks. 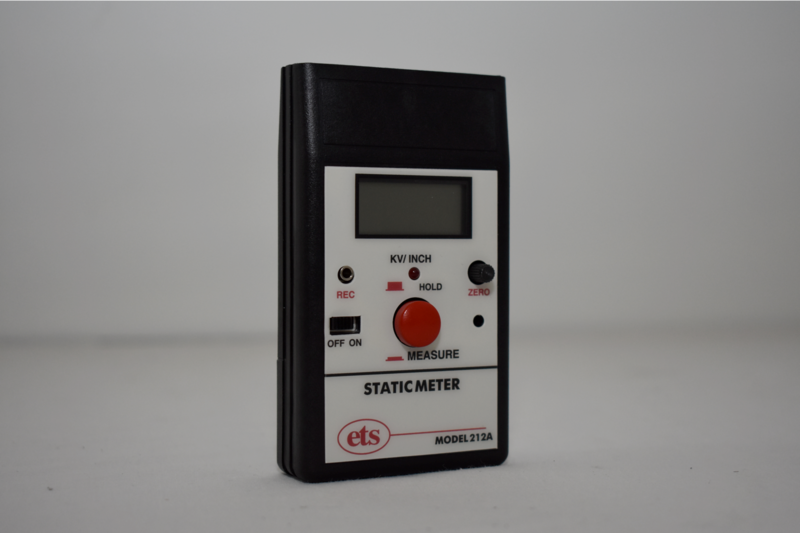 It incorporates high voltage ON/OFF, MANUAL/ AUTO and RELAY/AIR discharge controls along with LED status indicators. A ¼-20 threaded hole enables the gun to be mounted to a tripod. The system has four modes of operation: AUTO COUNT, FREE RUN, MANUAL and AIR DISCHARGE. Air Discharge and Manual operations are controlled by the switches on the gun. The complete system is housed in an ABS carrying case. Test data is stored in memory and can be easily downloaded.